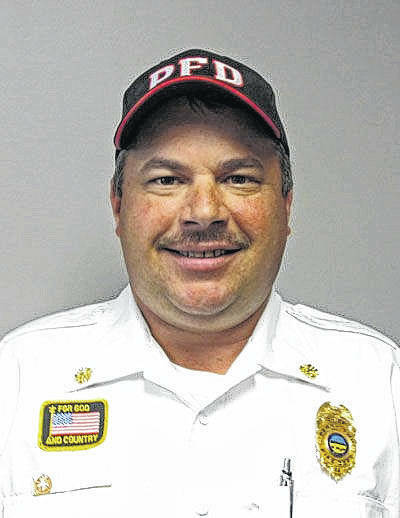 PERRY TOWNSHIP — The chief of the Perry Township Fire Department has been placed on paid leave for unspecified reasons, the chairman of the board of township trustees confirmed Friday. The board met in emergency session March 16 and voted to place Fire Chief Rick Phillips on paid administrative leave, according to board minutes posted on the township’s website. Following an hour-long executive session during the March 16 meeting, Trustee Kevin Cox made the motion to place Phillips on paid leave and to elevate Justin Roberts to the position of acting fire chief in Philips’ absence. Roberts is the assistant township fire chief. Capps would not discuss the nature of the investigation. The Perry Township Fire Department is a combination department of full-time, part-time and volunteer staff. It has a total roster of about 50 members with different training levels, both fire and EMS.